The Climate Agreement states that much more forest must be added to store carbon dioxide (CO2). According to Staatsbosbeheer, tens of thousands of hectares of trees must be added. But the reality is the opposite: in practice, between 1500 and 3500 hectares are felled every year. 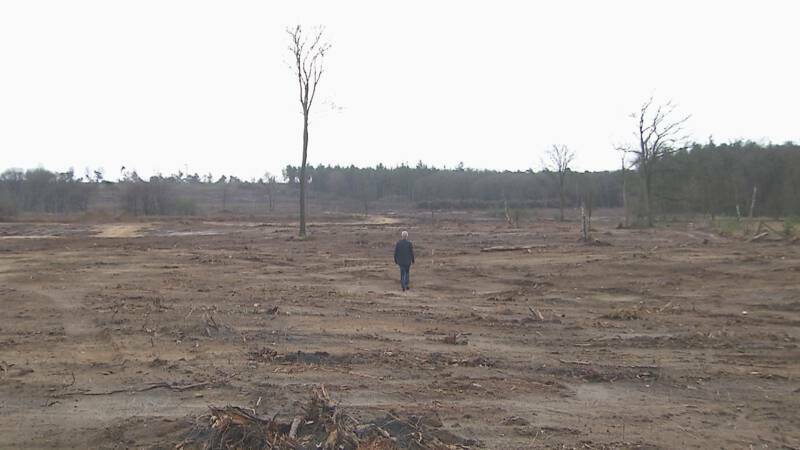 The deforestation in the Netherlands is happening even faster than in the Brazilian Amazon, says Gert-Jan Nabuurs, professor of European forestry. From 2013 to 2017, the forest area in The Netherlands has decreased by 5400 hectares, according to research from Wageningen University. Provinces and central government, as well as Natuurmonumenten and other landowners, clear large plots of forest every year to make way for heath vegetation and drift dunes. This was agreed years ago in the context of the Natura 2000 policy plan. The aim was to promote biodiversity in the Netherlands. Trees must simply give way to that. And that is final, because according to Natura 2000 the felled trees do not have to be compensated at another location. The forest is being transformed into another form of nature, and according to Natura 2000 that makes replanting unnecessary. Nature lovers will notice the consequences of this in various places in the Netherlands. Thousands of hectares of forests disappear, bare plains and buildings appear. Researchers and nature lovers agree that cutting down and encouraging biodiversity is not wrong in itself. They argue with the provinces and central government to purchase areas and to plant the necessary tens of thousands of hectares of new forest there, so that they can still contribute to CO2 capture. That would cost hundreds of millions.